Defence Research & Development Organization (DRDO) is celebrating “60 years of Service to the nation” and on this occasion they organized a Submarine Technology 2017 exhibition in Delhi. As an esteemed vendor of DMDE, KSB was invited to display entire Pumps and Valves range for Nuclear Power applications at the stall. Pumps used for Nuclear as well as conventional energy applications were at the display in the form of posters and standees. Defence Minister of India Ms. Nirmala Sitharaman visited the stall and discussed about the KSB’s pumps used by DMDE in submarines. Mr. Niranjan Bapat (DGM TSS – Energy), Mr. Sudhir Pathak (DGM, TSS-IB) explained her about the pumps developed and supplied by KSB to DMDE. 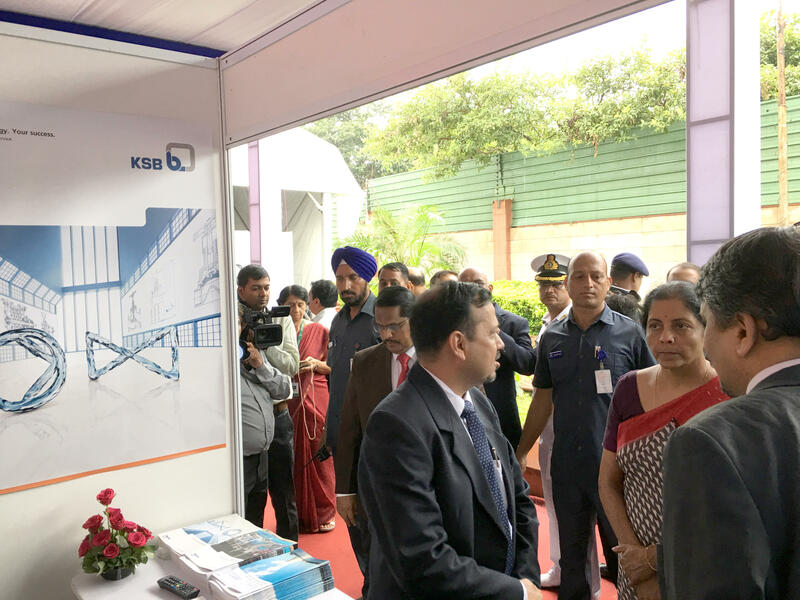 Mr. Ajit Doval, National Security Adviser to Prime Minister of India, in his visit to the KSB stall took a short overview of the range of pumps made by KSB in India. This 2 day exhibition was at arranged in the premises of DRDO, Delhi on 22nd and 23rd September 2017. KSB’s stall witnessed a large no. of footfall from various sections of Naval Department located all over India and they keenly discussed about KSB’s product range and their applications in marine engineering during the exhibition.